An enhanced partnership among Case Western Reserve University, the City of Cleveland and two Cleveland-area police departments focuses on reducing juvenile-related crimes through intervention and family services. A new $979,000 federal grant allows officers from the Cleveland Metropolitan Housing Authority Police Department (CMHAPD) and the Cleveland Police Department (CPD) to serve as “first social responder” teams to intervene with youth offenders and their families. The approach represents further development of a strategy to address juvenile crime with intervention and prevention rather than just punishment. The program will work with 9- to 14 -year-olds who have committed crimes—including aggravated robberies and domestic violence—through specialized family services. Local behavioral health agency Beech Brook will provide the intervention services and family support specialists, providing job training, financial advice and family counseling—among other services. The program will also involve Central neighborhood residents and the Partnership For A Safer Cleveland. Mark Singer, the Leonard W. Mayo Professor in Family and Child Welfare at the Jack, Joseph and Morton Mandel School of Applied Social Sciences at Case Western Reserve University, was recognized as part of the Five Communities exhibit at its recent grand opening at the National Law Enforcement Museum in Washington, D.C.
Cleveland is featured with Dallas, Chicago, Somerville, Massachusetts, and Charleston, South Carolina. Singer is honored for his work with the Partnership for a Safer Cleveland, which brings together local agencies, organizations and community leaders to make Cleveland’s neighborhoods safer. For 37 years, it has worked with the Cleveland Division of Police to protect Cleveland’s young adults and address youth violence. The 2,000-square-foot exhibition uses photography, text and interactive elements to explore innovative ways communities have worked to improve the connection between police departments and community members. “The earlier you can intervene when someone has committed a crime, the more likely you are to help that person turn their life around,” said Mark Singer, the Leonard W. Mayo Professor in Family and Child Welfare at the Jack, Joseph and Morton Mandel School of Applied Social Sciences at Case Western Reserve. 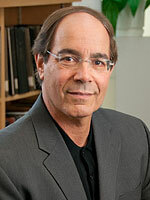 Singer also is deputy director of the Mandel School’s Begun Center for Violence Prevention Research and Education. Cleveland City Council recently approved the grant from U.S. Bureau of Justice Assistance. Singer said the project has already begun.